Fishermen tagged a total of 1,656 dolphin in 2015, making it the fifth-best year for the number of dolphin tagged in this study. fleet of boats to replicate this effort. Because of the variations in physical characteristics of the offshore waters in each area, dolphinfish behave differently in every area. This necessitates tagging fish throughout their range to get a comprehensive understanding of their migratory behavior. 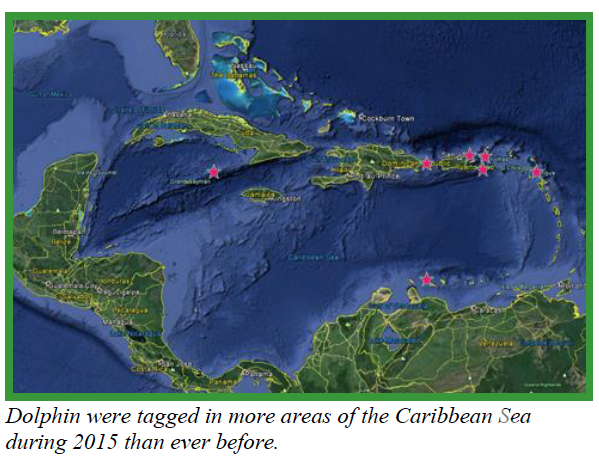 The 2015 tagging effort saw a significant expansion in the areas where dolphin were tagged. This is most apparent in and around the Caribbean where dolphin were tagged off the islands of Grand Cayman, Dominican Republic, Puerto Rico, St. Johns, St. Croix, Antigua, and Curacao. Plus we have just signed up a tagger in Belize, which will be our most western tagging activity in the Caribbean. average of only ten dolphin tagged each year. 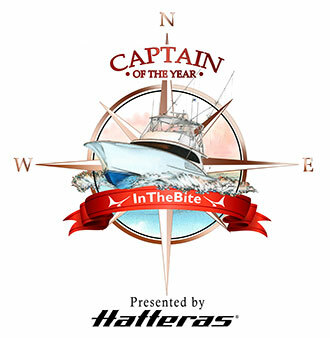 That number grew to 42 in 2015, plus the first dolphin tagging north of 40o N latitude took place this year off Cape Cod, Massachusetts. If angler reports are any indication, the northern MAB had one of its better years for dolphin. Was this because the fish largely by-passed northern Florida, Georgia and South Carolina, or was it because of warmer ocean waters pushing farther north? Most likely it was the change in ocean waters that were behind both events, but reduced fishing pressure down south had to help. The change in the migration route of the fish moving past northeastern Florida, Georgia, and South Carolina, suppressed the tagging activity along this segment of the East Coast. These three zones normally provide an average of 296 tagged fish each year but in 2015 only 82 were marked and released. If there is one thing that I have learned, when fishermen cannot catch all the fish they want to eat, they are not going to tag and release fish. Dolphin are a major component of the Gulf of Mexico’s blue water fishery, and yet science knows little about their basic movement routes in the GOM. 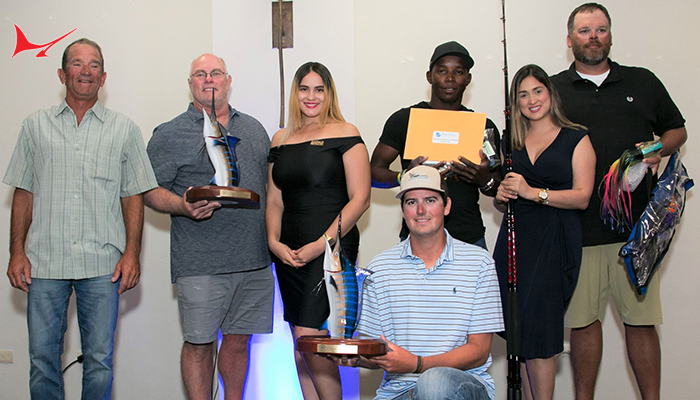 DRP efforts to stimulate interest among anglers fishing the Gulf of Mexico to tag dolphin has resulted in several new anglers volunteering. There are currently 77 GOM fishermen who have volunteered to tag dolphin for science and yet only three boats actually tagged fish in 2015. 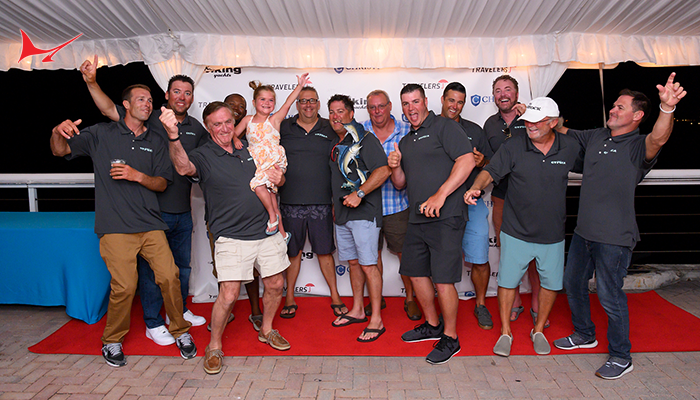 These boats managed to tag 59 fish, which is above the annual average of 25. Fortunately, the two boats that tagged the majority of the GOM dolphin were in opposite corners of the Gulf, one off Texas and one off Florida. This provides the best opportunity to document if the dolphin travel east, west or both directions in the northern Gulf. In past years a few of the DRP participants have traveled to the eastern Pacific off Mexico and Central America to fish, carrying their tag kits with them. 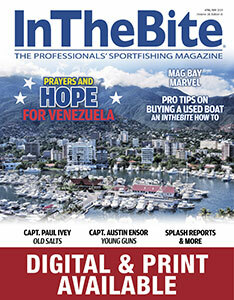 These anglers have tagged as many as ten fish in a year off Mexico, Guatemala, Panama, and Costa Rica. 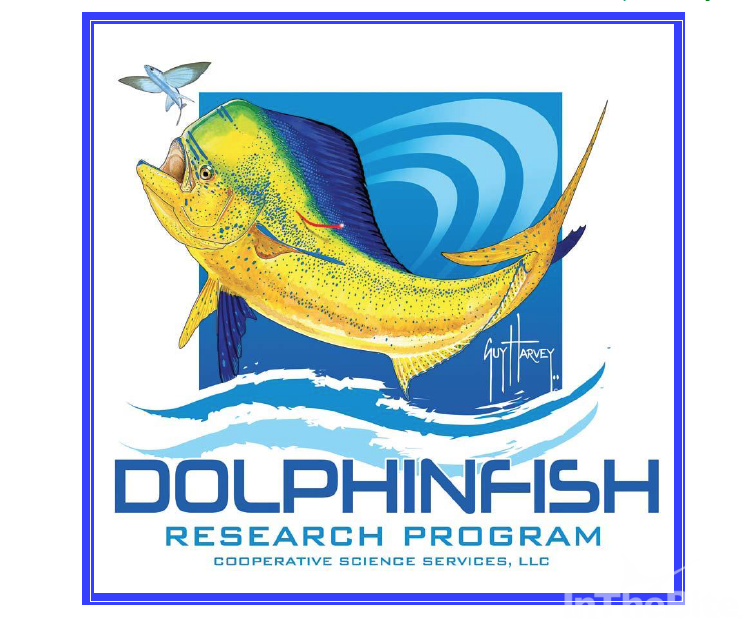 The DRP has now initiated an effort to establish a tagging study in the eastern Pacific and is actively seeking anglers to volunteer to tag their small or unwanted dolphinfish for science. 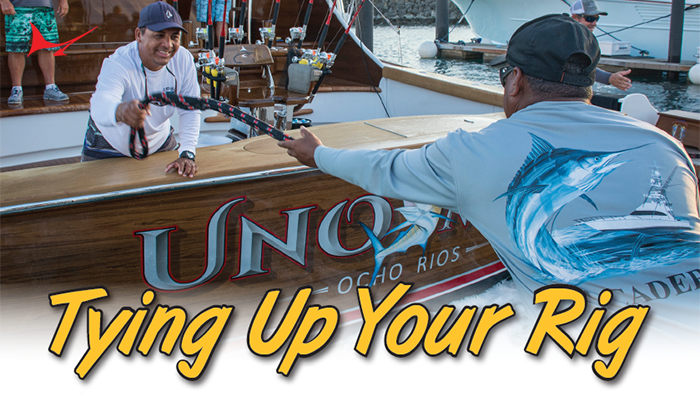 In 2015 we signed up anglers in California and Guatemala to begin tagging for the official Pacific study. 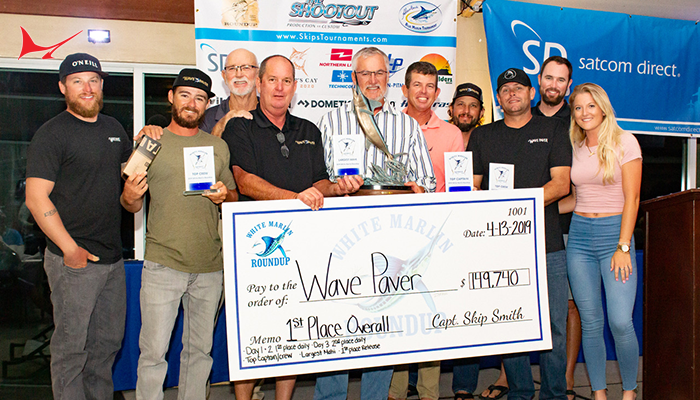 Once again it was the conservation-minded anglers in south Florida and the Florida Keys that provided the majority of the fish tagged. 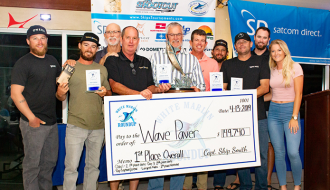 These anglers accounted for 82 percent, 1,367 fish, of all dolphin tagged in 2015. 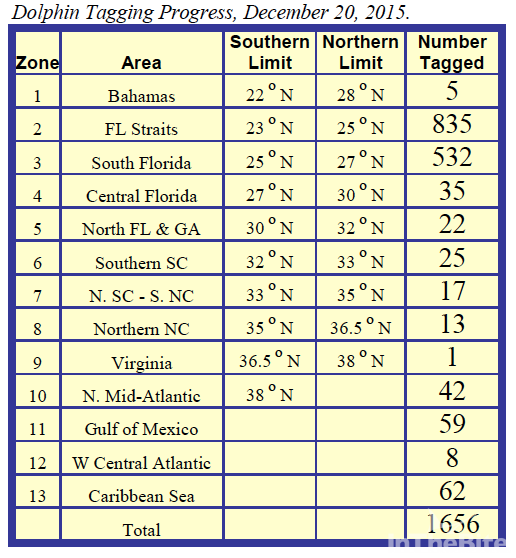 Anglers in these areas have consistently led in tagging dolphin since the beginning of this study. 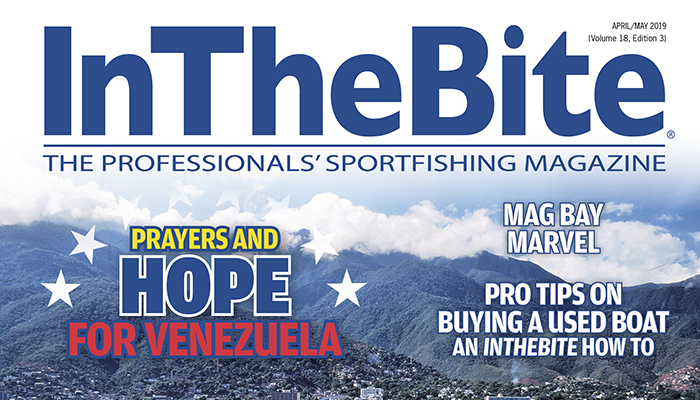 Many fishermen in other regions say that it is only because they have the longest and most ready access to dolphin. While this does make it easier for the casual fisherman who tags one to ten fish each year to catch dolphin, it is the handful of serious fisherman who are on the water regularly that supply more than 80 percent of the fish tagged, and having seen the number of dolphin caught off North Carolina’s Outer Banks, there is no question in my mind that boats fishing the Outer Banks could tag just as many fish if not more. Why isn’t there more tagging in the Gulf and off North Carolina? It is because of minimal to no regulations on the species in these areas. 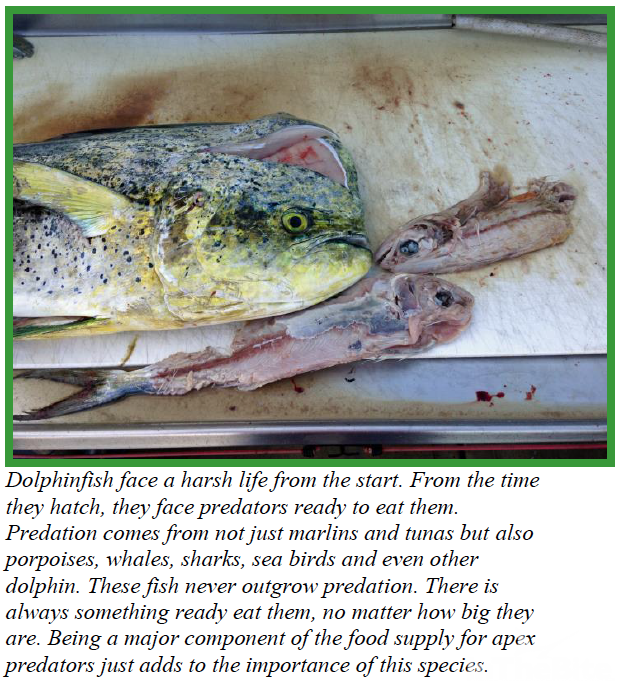 Fishermen continue to amaze me with their interest, support and dedication to this scientific study of the dolphinfish.